It’s been 46 years since the Supreme Court ruled on Roe v Wade allowing abortion to poison the land of the free. It started in Texas when Norma McCorvey known as ‘Jane Roe’ thought of having an abortion and filed a lawsuit in 1971 against the Dallas County District Attorney, Henry Wade. It wasn’t until January 22, 1973 that the US Supreme Court ruled that abortion was a fundamental ‘liberty’. McCorvey never did have her abortion and in fact, she repented and had a change of heart. 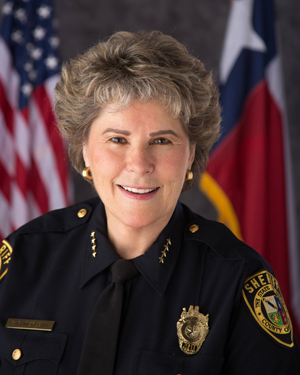 She again filed a lawsuit in Dallas in 2003 to overturn Roe v Wade and failed. Since that day, January 22, 1973 there have been over 61 million babies surgically aborted and another 250 million chemically aborted. These numbers alone are enough to bring every God fearing Christian to his knees. So the marches begun. To mark this infamous date in 1973, Nellie Gray founded the first March for Life in Washington DC on January 22, 1974 with approximately 20,000 people participating. She led the prolife protest until her death in 2012. I never met Nellie in person, but I did have an occasion to speak to her on the phone. I remember her telling me that I needed to get more involved in the prolife movement in my city. This message is worth forwarding. 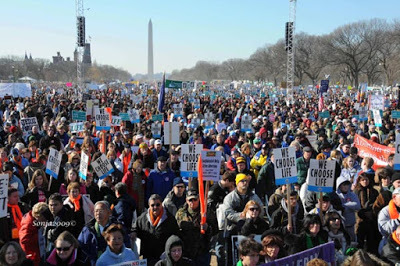 Today the March for Life easily attracts over 600,000 prolife advocates. I have attended four marches in DC to date. In Texas we have the Rally for Life in Austin that draws approximately 3,000. Yes, I have attended these marches also. Many cities have marches or rallies to mark the anniversary of Roe v Wade. San Antonio is such a city. 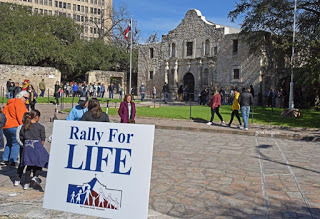 On January 20, 2019, the 40th Rally for Life and the first Alamo March for Life in San Antonio were held at the Alamo. They were sponsored by San Antonio Family Association, SAFA. In Texas alone we have over 4,673,500 Catholics and 3,519 459 Southern Baptist Convention and Evangelicals. Between these alone, Texas has over 8 million people who could take part in the rallies held throughout Texas. According to the archdiocese of San Antonio website there are 796,964 Catholics in the diocese. The key is how to mobilize and how to entice people to attend at least one rally or march per year. 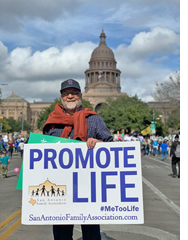 While the lay person can do a fair amount of promoting the prolife events, the parish priest and pastors of their church can do much more to influence their flocks. IF every priest or pastor were to just announce the Prolife March for Life in DC, the Texas Rally for Life in Austin and the rallies of each city from the pulpit imagine the turnout. Ask yourself why is the attendance at the rallies and marches important? The unborn are voiceless unless we cry out for them. 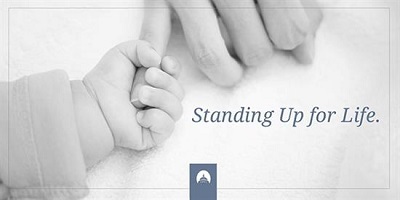 Being among so many other prolife advocates lifts you to a heavenly high allowing you to continue to defend the unborn. These are also a show of strength and encourages others to participate. A show of force tells the lawmakers that the unborn are a gift from God worth fighting for in Congress, in the Legislature and in the courts. The prolife movement has advanced their message of ‘every life matters’ and is being embraced by our youth. Since we now have a bigger voice with the President of the United States being prolife, challenges have risen. The fear the left has is that Roe v Wade may be overturned with the conservative Supreme Court Justices recently appointed, Neil Gorsuch and Brett Kavanaugh and the inevitable replacement of Liberal Justice Ruth Bader Ginsburg under the Trump Administration. The Progressives wasted no time in passing laws to codify abortion. The worse yet is the recent law passed in New York by the NY state assembly and signed by Governor Andrew Cuomo into law on January 22, the anniversary of Roe v Wade. The Reproductive Health Act allows murdering the unborn up to the time of birth. The Democrats of NY state assembly cheered when the bill was passed. This act sends us back to when the pagans offered their babies for sacrifice. The culture of death is now established in New York. The abortion of a full term baby is an act that is inconceivable to most Americans. Governor Cuomo who claims to be a Catholic called for the 408 foot spire on the One World Trade Center to be lit up in pink to “celebrate this achievement and shine a bright light forward for the rest of the nation to follow”. His action to light up the One World Trade Center was more callous because of the 3,000 innocent people killed in the 911 attack. Msgr Charles Pope, in an article written in the National Catholic Register, made it clear that no Catholic can support such legislation. He also wrote that the governor called for celebrations and hope that other states will follow the ‘bright light’. He strongly wrote that this cannot be allowed to stand without canonical penalties. As a Catholic, I tend to agree with Msgr Pope. Will the Catholic Church finally act on the behalf of the unborn or will this just fade away without some admonishment? At what point are we going to allow such heinous atrocities? Since the cry for Cuomo to be excommunicated from the church, the governor has responded with a curt answer, by saying he “did not represent the Church” in his political views. Since this Act was passed in NY State, Virginia also tried to pass a bill similar but failed by one vote. 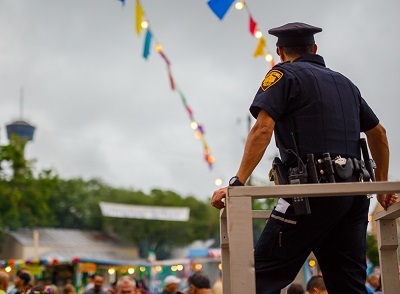 Rhode Island is presently contemplating such a bill, but the outcry was enough to set the bill aside for a later date. The governor of Rhode Island, Gina Raimondo, also a Catholic is advocating for the bill. Catholics have a moral responsibility to speak out against such moral depravity. As Christians we must stand strong and understand that the coming election 2020 will be a test to our faith in Christ. We cannot be timid, we cannot stay silent. Christ commends that we go out and teach all nations. In 2 Timothy 3:5, “They will keep up the outward appearance of religion but will have rejected the inner power of it. Keep away from people like that.” Fight the good fight of faith!